NOTE: Hyperlinks are provided that will direct you to content that can better explain specific items or topics. The bed of a stream, river, or other waterway. A navigable route between two bodies of water. The deeper part of a waterway. A wide strait, as between a continent and an island. The navigable portion of a river, harbor, or other partly enclosed bodies of water. The channel customarily navigated by vessels in such a body of water. How and when Rule 9 is applied is the least understood among recreational boaters. Most people think that a narrow channel is something that by the visible lack of distance, from bank to bank, defines what is narrow. Although this can be true on some bodies of water what actually makes a channel narrow under this rule are the physical characteristics of the vessel involved, the confines of the safe navigational depth of water, and the density of vessel traffic. Unlike a car, a vessel’s turning apparatus is at the back end (stern). In order for it to complete a turn, the stern of the vessel has to be moved from one side to the other, from the center, pushing the bow in the desired direction. In a vehicle, the front tires turn to pull the front around. This this is why cars have a much sharper turning radius than a vessel. What is common is that both a vessel and a car need forward momentum to turn, but when you replace tires on a roadway with a rudder or outdrive in the water, the physics are completely different. Since a waterway is rarely a straight line for very long, you need to account for how a vessel moves through the water. The larger the vessel, the less maneuverable it is and the more time and distance it needs to turn or stop -especially in shallower water. “Head reach,” or the stopping distance and “advance and transfer”, the distance and radius it takes to turn, are present in all types of vessels to some extent. But as the available area to navigate decreases and vessel size increases, more maneuvering room is required. Smaller recreational vessels have an obligation to operate in a manner that does not impede the movement of these larger, less maneuverable vessels from safe passage. As an example, you have a waterway that is a mile and a half across; the charted “navigable channel” is only 300 yards across and the depth is only 35 feet. You have a large 400-foot vessel that draws 30 feet of draft (the keel is 30 feet below the water line). That vessel can only safely navigate within the channel where there is enough water depth to prevent it from running aground (when keel meets bottom). On the surface, it may look like there’s plenty of water for it to maneuver but in reality, it’s trapped. Large deep draft vessels take a significant amount of area to turn and take up to, or over, a mile to come to a full stop. Take this same waterway and a 30-foot cabin cruiser that draws 3 feet. 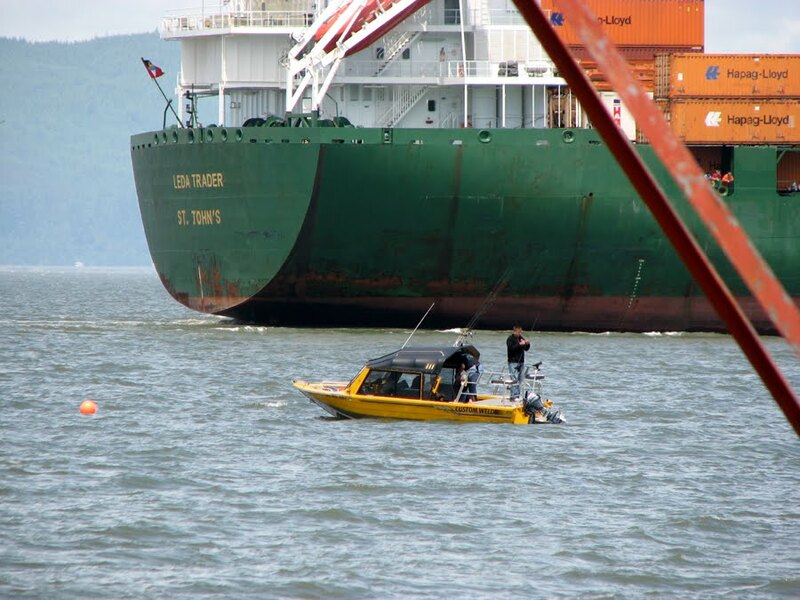 This vessel can easily maneuver freely or stop, in any portion of the waterway to avoid a collision. Rule 9 does not apply to the cabin cruiser. But take the same 30-foot cabin cruiser and add a large group of smaller vessels or paddle craft, the situation may change. Traffic density can also apply to Rule 9 in this scenario (b) a vessel of less than 20 meters in length (65.6ft) or a sailing vessel shall not impede the passage of a vessel that can safely navigate only within a narrow channel or fairway. In application, this same theory applies as the vessel goes down in length. Simply put, if the navigable channel width and depth only allow a vessel to safely navigate within its boundaries and/or the amount of vessel traffic impede other vessels from safely navigating in the narrow confines of a channel or fairway, Rule 9 applies. Some basic uniform rules help tremendously in reducing user conflicts in these situations which, in turn, significantly reduces or prevents the risk of collision. We know that if you are operating a vessel under 65 feet you can’t impede larger vessels. The best way to alleviate any risk of collision or conflict is when traveling in a channel or fairway; you should keep to the right side of the channel to allow other, larger or faster vessels, room to safely navigate. If you intend to cross the channel, wait for larger traffic to pass and cross at an angle as close to 90 degrees from the prevailing direction of travel as safely as possible. This should be the standard for all paddle craft operation. (a)(i) A vessel proceeding along the course of a narrow channel or fairway shall keep as near to the outer limit of the channel or fairway which lies on her starboard side as is safe and practicable. (d) A vessel must not cross a narrow channel or fairway if such crossing impedes the passage of a vessel which can safely navigate only within such channel or fairway. The latter vessel must use the signal prescribed in Rule 34(d) (§83.34(d)) if in doubt as to the intention of the crossing vessel. So on a warm sunny weekend, different size and types of boats doing different activities may jockey for the same piece of water. Looking at Rule 2 and Rule 9, what can we take away? The first step is to be keenly aware of how you operate your own vessel and how your actions affect vessels you encounter that have limited maneuverability. Courtesy and patience go a long way in maintaining a safe boating environment. Stick to these basic rules and discipline yourself to follow them. Finally, let’s talk about anchoring in the channel. There seems to be a lot of individual interpretation with this part of Rule 9 that mostly centers on what exactly is meant by “the channel”. Having to anchor in the channel for an emergency is pretty much covered under the “circumstances of the case admits” clause. Any other time, anchoring in the channel is discouraged and in some cases, where state law is stricter than federal law, it can be prohibited. Taking into account what we previously discussed, anchoring in the channel would become problematic when other vessels are trying to safely navigate. This is especially the case when a vessel’s draft and maneuverability restrict it to specific limits within the channel. There is no expectation that every recreational boater knows the design characteristics of each and every vessel because they’re all different. What they do need to know is that no vessel should anchor in a narrow channel unless it is an emergency. 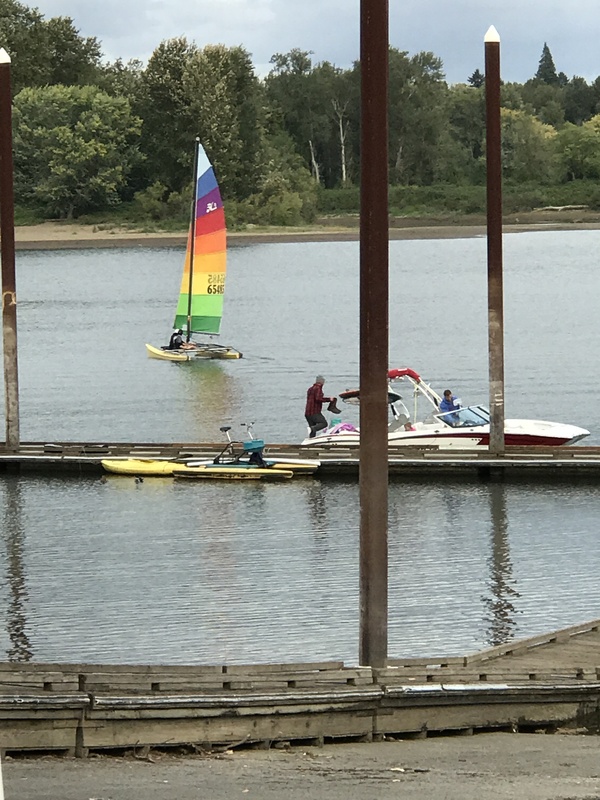 Recreational boaters near the main navigation channel on the Columbia River. In any situation where a vessel feels that a risk of collision exists and is in doubt that the necessary actions are being taken to avoid a collision, that vessel shall sound at least five short and rapid blast of the horn, Rule 34. (d) When vessels in sight of one another are approaching each other and, from any cause, either vessel fails to understand the intentions or actions of the other, or is in doubt whether sufficient action is being taken by the other to avoid collision, the vessel in doubt shall immediately indicate such doubt by giving at least five short and rapid blasts on the whistle. Such signal may be supplemented by a light signal of at least five short and rapid flashes. Once five short blasts have been sounded, all vessels shall proceed as if the risk of collision exists and act in accordance with these rules. This is especially important if you are operating in a narrow channel or anchored in the channel. You are at risk of collision because your action or inactions have left the other vessel in doubt as to your intentions and also as a warning that under the current situation you are at risk of collision. If you are anchored in the channel you need to move in ample time for the other vessel to safely pass. Now, let’s talk about paddle craft. Everyone has the right to enjoy the water and to be able to safely recreate. As Boaters, we also have the obligation to comply with these rules, and there’s a reason. As I mentioned earlier, paddle craft or non-motorized vessels are not specifically mentioned. However they meet the definition of a vessel in Rule 3, so there are two schools of thought: 1) because they are not specifically mentioned, non-motorized vessels have no position of hierarchy in Rule 18, and therefore must stay clear of all other vessels; and, 2) if paddle craft or non-motorized vessels were mentioned in the rules, where would they fit in that hierarchy? Compared to other small vessels, paddle craft are relatively maneuverable -yet slow. They are low to the water and very hard to spot visibly at a distance. The Coast Guard’s position is that the second school thought is most applicable. The rules do apply to these users and therefore, we need to figure out how they exactly fit in. a)(i) A vessel proceeding along the course of a narrow channel or fairway shall keep as near to the outer limit of the channel or fairway which lies on her starboard side as is safe and practicable. Avoid impeding other vessels by transiting on the right-hand side of the channel; this also meets the spirit of Rule 2, ordinary practice of good seamanship. These are basic rules to follow. Stay to the right of the channel. Cross the channel at right angles with due regard to the other traffic transiting the channel. If you are unsure of the other vessel’s intentions, sound five short blasts of a horn or whistle. The only exceptions to these rule would be if the vessels were operating in a marine event permitted by the Coast Guard but, realize that even in that situation if a risk of collision exists, always revert to the rules. If for any reason there is a need to impose a regulatory restriction on boat operations for navigation on a waterway, it is not accomplished under this rule. Restrictions relating to safety and security, such as safety zones, and security zones can be placed on a waterway by the local Coast Guard Captain of the Port (COPT). 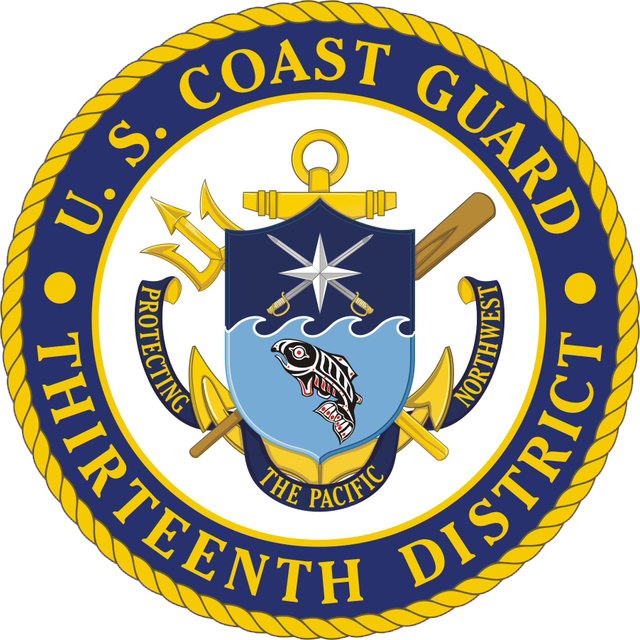 For short-term issues such as marine events, the Coast Guard may issue a safety zone. In areas requiring security enforcement, a security zone can be put into place. For long-term restrictions to a waterway, a Regulated Navigation Area, (RNA) can be implemented. When these types of restrictions or regulations are implemented, the public is notified by the Local Notice to Mariners (LNM) or annually re-occurring events listed in 33 Code of Federal Regulations (33 CFR). The LNM is published daily by the regional Coast Guard District. It contains any aids to navigation discrepancies, special notices on waterway issues, chart corrections, advanced notice of changes, bridge discrepancies, marine events, waterway closures, basically everything that is going on that affects navigation and commerce. What this all comes down to is having an agreed upon, orderly set of rules that are simple to understand and follow. On a nice summer day, you want to go to the water and relax, just like everyone else. The last thing anyone needs is the stress, frustration, and aggravation that come with encountering others who operate their boats with reckless abandon or no regard for the rules and rights of others. 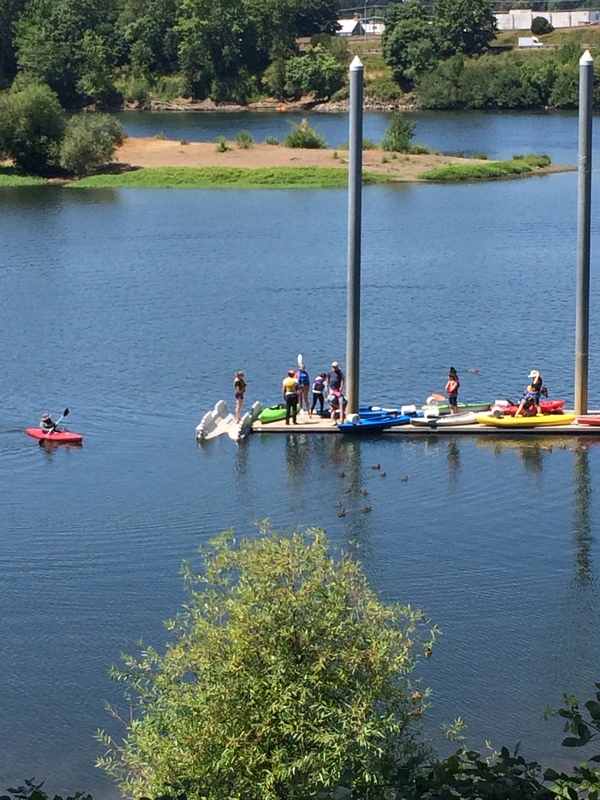 Everyone has the right to recreate on our waterways, but with that right comes a responsibility to do so with civility and operate in an orderly manner with due regard to the rights of others. If everyone follows the rules, you can avoid those tense, frustrating and aggravating situations. Bad days can be totally avoided. Safe boaters are happy boaters! Now you’re aware of why we have rules and who they apply to recreational vessels. We have a better understanding of how different vessels are defined and how those definitions help in understanding and applying the rules. Next, we venture off into what I consider the most important rules which identify conduct or behavior. I am hyperlinking the rules to save space but also to allow you to open up the actual rule for reference. No matter what you take away from this series these are the rules that truly prevent collisions. Having a proper lookout, operating at safe speeds, being able to identify the risk of collision and what actions to take to avoid a collision. It all comes down to identifying risk and knowing what you do to mitigate or alleviate that risk. Checking the applicability before diving in, Rule 4, Applicability, states that all the rules “applicable in any condition of visibility.” So in the rain, snow, sleet, hail, fog, bluebird day or dark of night -every vessel on the water, from supertanker to Stand Up Paddle Boards have the responsibility to comply with this section of the rules. Let’s start with Rule 5, Look-out: Every vessel shall at all times maintain a proper look-out by sight and hearing as well as by all available means appropriate in the prevailing circumstances and conditions so as to make a full appraisal of the situation and of the risk of collision. So what’s proper? In its basic form, proper would be the person behind the helm has their total attention focused on safely navigating/operating the vessel by continual observation of all traffic and hazards, without distraction. 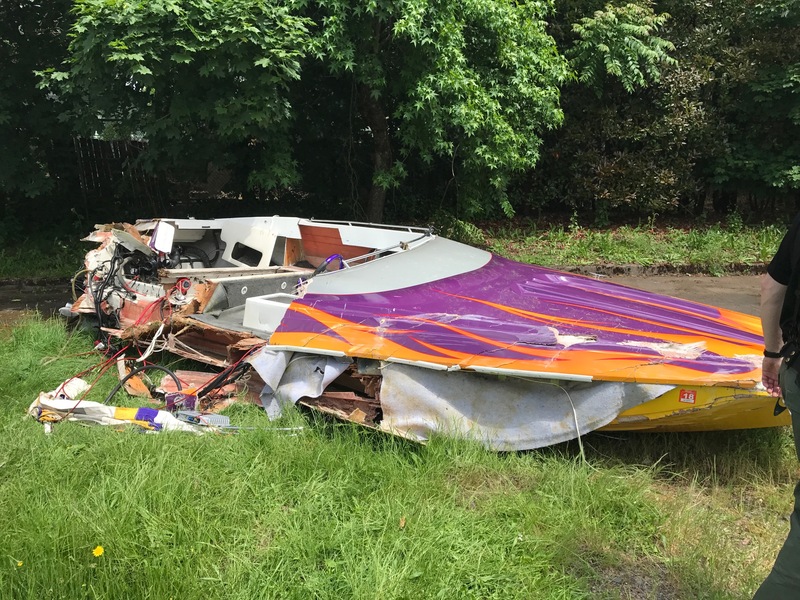 Recreational boating accident data shows that operator inattention is one of the leading causes of collision between vessels, striking fixed or floating objects or groundings. As risk factors increase, such as weather, sea conditions, visibility, vessel traffic density or unfamiliarity with the waterway, you need to put into place measures to mitigate or reduce that risk. 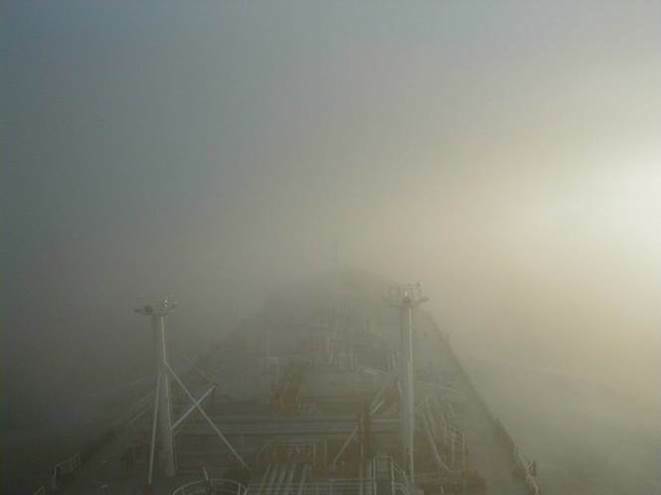 For example, if you’re in poor visibility you might recruit someone on the vessel to assist in keeping an eye out. Another set of eyes in fog or heavy rain should be mandatory. It’s using all means available to reduce your risk factors. Even if you have radar you can’t rely on that or any one thing by itself to reduce your risk factors. Additional lookouts help you keep your attention focused toward your situational awareness and getting others on board involved will reduce any anxiety your passengers may experience. The more the better. If you’re sailing solo, another way to reduce your risk is to slow down. Slowing down gives you more time to react and recognize potential risk when a collision situation might develop. Rule 6, Safe Speed: “Every vessel shall at all times proceed at a safe speed so that she can take proper and effective action to avoid a collision and be stopped within a distance appropriate to the prevailing circumstances and conditions.” Visibility and traffic density are an obvious reason to slow down but you need to also take into account the maneuverability of the vessel; how long it would take you to stop or safely turn at any given speed. Sea state, wind, current, the proximity to navigational hazards or, simply how much time and distance traveled it actually takes you to come to a complete stop. These are the considerations you need to evaluate to determine what a safe speed actually is. In restricted visibility, the most important thing you can do is to make yourself visible and give yourself ample time to be able to react. The standards for navigation lighting provide a means to quickly identify a vessel, its direction of travel and depending on the display/array of lights, their service, and their size. All too often you see vessels operating without their navigating lights turned on or they’re not functional. Something else to consider is your surroundings. Think about being out at night and how background lighting from buildings and light onshore affect your ability to recognize the navigation lights or presence of other vessels. What happens when the fog sets in and you lose sight of the other vessels in the abyss? These things increase the risk factors which should, in turn, increase your actions to migrate that risk. More lookouts, slower speeds, navigation lights on -it’s all very important. To determining when the risk of collision exists we look at Rule 7. When operating a vessel, you are responsible for everything. All too often operators get overly involved in the activity at hand and become distracted. This is how accidents happen. Failure to maintain situational awareness leaves you vulnerable and that’s why your behavior as the operator is crucial in the safety of everyone involved. The foundation rules, Rule 5, 6, 7 and 8 are all intertwined but clearly set the standard for operator responsibility. It’s all about operator attention or inattention to the existence of the risk of collision. (a) Every vessel shall use all available means appropriate to the prevailing circumstances and conditions to determine if the risk of collision exists. If there is any doubt such risk shall be deemed to exist. In my experience, the last sentence is the most overlooked part of this rule. If you have any doubt at all about the actions of another vessel and feel that they need to be watched, the risk of collision exists. For the recreational boater, this is simply giving your undivided attention to where you’re going and paying close attention to the environment around you. What is rarely considered is that if there is any doubt in your mind that a risk of collision exists -it does. I cannot emphasize it strongly enough that when the risk of collision exists you assume nothing and give it your undivided attention until such risk no longer exists. (c) Assumptions shall not be made on the basis of scanty information, especially scanty radar information. When does the risk of collision exist? (i) Such risk shall be deemed to exist if the compass bearing of an approaching vessel does not appreciably change. We addressed relative motion in the introduction and it’s worth repeating, “Relative motion is the motion of an object with regard to some other moving object.” You notice that their position relative to yours is not changing, and they are getting closer. You automatically know that if something does not change, you’re going to collide. If you’re in this situation the risk of collision exists. In the boating world, this is called “constant bearing decreasing range. You can either slow down, speed up, turn, turn and slow down, slow down or stop. The choices are dependent on the situation but if you’re required to give way you should let them pass. Part of the reason for paying close attention to your surroundings is that when you operate at high speeds or there are other vessel operating at high speeds, the speed of closure between vessels can be very fast. 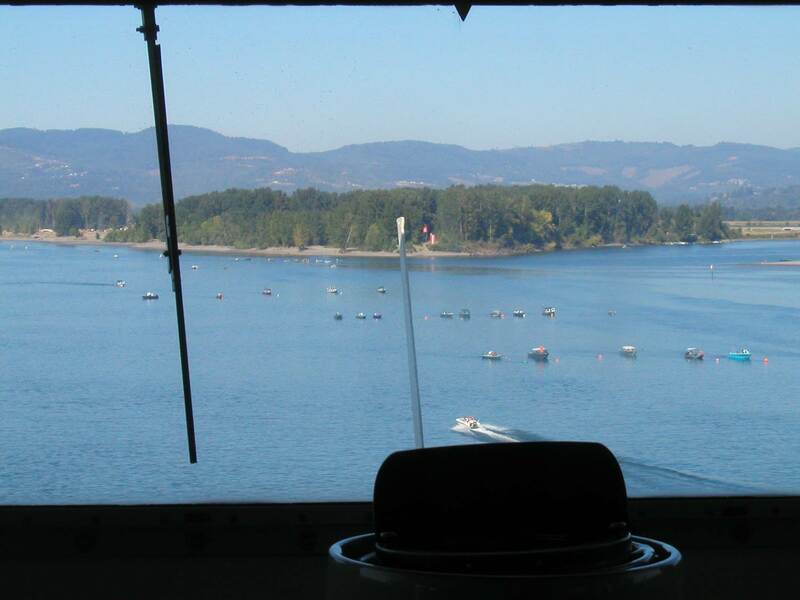 Being alerted to the other vessel’s presence and relative motion must be realized in plenty of time to maneuver. Recognize, (ii) such risk may sometimes exist even when an appreciable bearing change is evident, particularly when approaching a very large vessel or a tow or when approaching a vessel at close range. Great care has to be taken when larger vessels are encountered and an unwritten but widely accepted rule is the “rule of gross tonnage.” It’s best to keep well clear of a large vessel which also complies with the rules of hierarchy in Rule 18 and narrow channels in Rule 9. You’ve established that a risk of collision exists between you and another vessel. Rule 8, discusses the actions you should consider in order to deal with that risk, (a) Any action taken to avoid collision shall be taken in accordance with the Rules and shall, if the circumstances of the case admit, be positive, made in ample time and with due regard to the observance of good seamanship. When maneuvering, you have to make it blatantly obvious you changed course. You must take action after carefully observing the situation and deciding on the best course of action to take. If you identify the risk in plenty of time, the action taken can simply be adjusting your speed in order for the other vessel to immediately recognize your change in course. It also must be done giving each vessel involved plenty of time to make that maneuver in order to pass at a safe distance. It is sometimes hard to recognize when another vessel has changed course or speed, especially if there is some distance between you and the other vessel. Waiting until the last minute should be avoided and realizing that if you take “early and positive action” you can continue with little variation in your direction of travel. Once you observe the vessels relative position from you is changing, right or left, constant bearing decreasing range no longer exists and you are no longer at risk of collision! This is pretty simplistic but when you add in numerous vessels you have to be able to asses which one is your most immediate threat and if you make a maneuver, will that put you in a collision situation with another vessel, etc. This is where you have to start to look at which vessel is the stand on or give way vessel. The actions of the stand on vessel can be found in Rule 16, and the actions of the give way vessel in Rule 17. We will discuss how these apply to each rule later but hopefully, the other vessels are looking at this situation as well and acting in accordance with the rules in a way that benefits all vessels involved. But when you have doubt and aren’t sure how to proceed, the best option is simply to stop, let the situation develop and see how the other vessels end up moving relative to you. Once there is a safe option, continue underway. We have learned previously that rigid adherence to the rules may not work if the circumstances of the situation warrant another option. This is where we go back to Rule 2 and the practice of good seamanship. There are two more rules to this section, Rule 9, Narrow Channels and Rule 10, Traffic Separation Schemes. I’m going to leave Rule 9 for a separate discussion because it is one that really needs additional explanation in its application and when it comes to congested waterways, dealing with encountering vessels where there is limited room to maneuver considering geographical and bathymetric consideration. Vessel Traffic Schemes (VTS) are not commonplace. There are 12 nationwide, to guide, provide active monitoring and navigation advice for vessels in confined and busy waterways. If you are in a region where there is a VTS, you should consult Rule 10 and any other special requirements for that location. The only Pacific Northwest VTS is Puget Sound. What we can take out of all of this is that each and every person boating has an obligation to follow the rules and to avoid collisions. This also means that we cannot impede the safe passage of other vessels. This not only applies to motorized vessels but non-motorized vessels as well. A vessel, which by any of these rules, is required not to impede the passage or safe passage of another vessel shall, when required by the circumstances of the case, take early action to allow sufficient sea room for the safe passage of the other vessel. Simply, give everybody some room. When approaching and risk of collision exists, whether you are required not to impede or not to be impeded, you must still have full regard to the action which may be required and obliged to comply with the rules. This becomes even more evident when we discuss Rule 9, but I’ll leave you in suspense for that until next time. Joint press release from the Oregon Department of Fish and Wildlife and the Oregon State Marine Board, October 26, 2018. 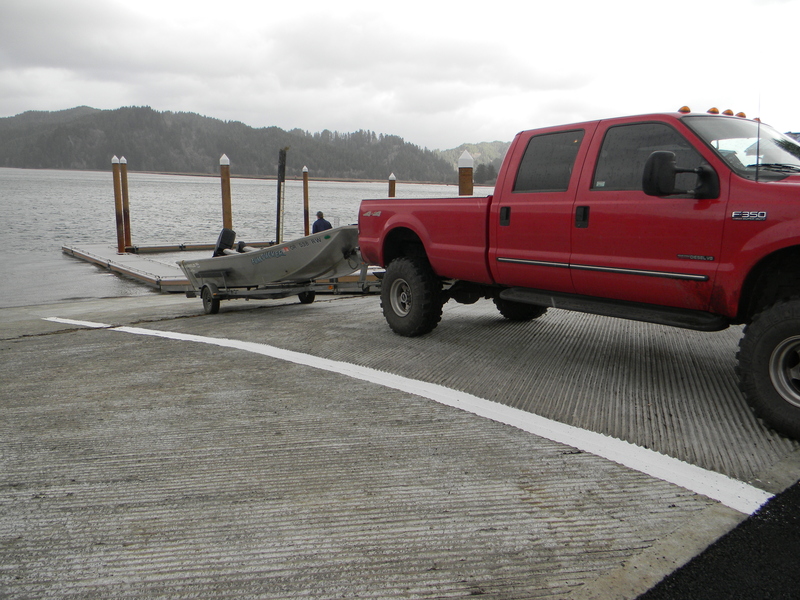 Jon boat launching from the new boat ramp at Rainbow Plaza in Reedsport. Reedsport, OR. 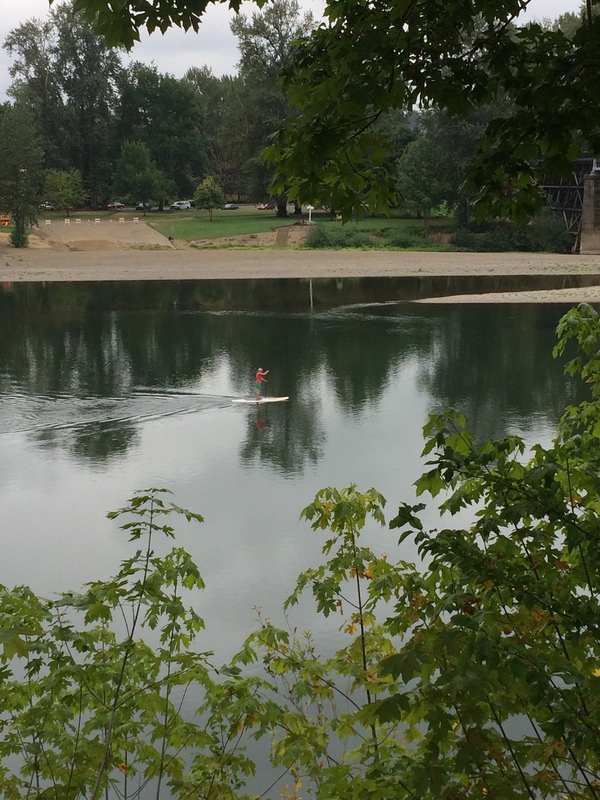 – Boaters and anglers now have improved access to the lower Umpqua River in Reedsport, now that the Rainbow Plaza boat ramp is complete. 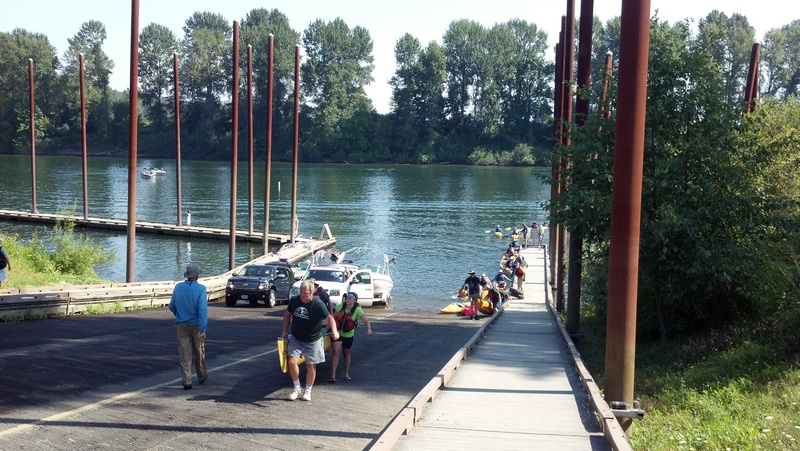 Rainbow Plaza is a popular and heavily used boat launch facility with an estimated 10,000 boat launches per year. New fish cleaning station located away from the boat ramp to reduce congestion. According to ODFW STEP Biologist Evan Leonetti, this site provides improved boating access to a great angling opportunity for fall Chinook, coho, surf perch and sturgeon, all within a mile or two from the ramp. 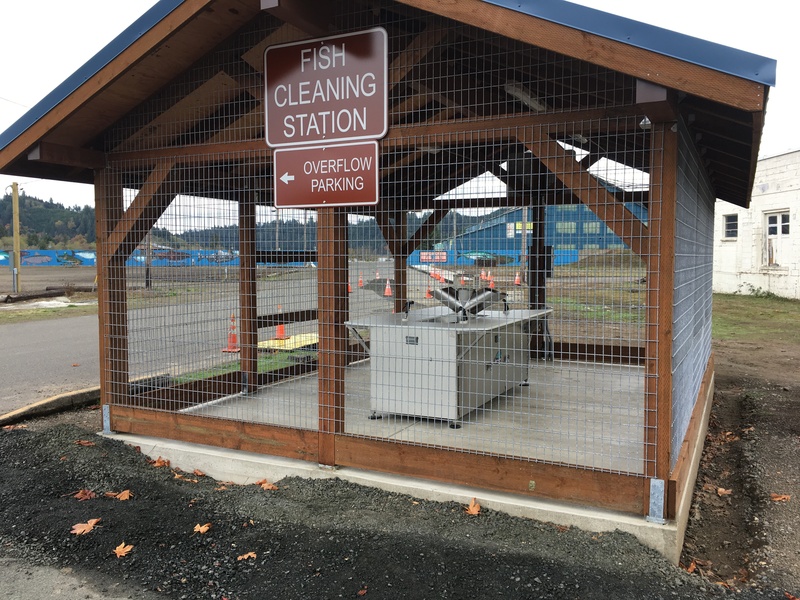 This project added a new fish cleaning station right at Rainbow Plaza, when previously anglers had to drive down to Salmon Harbor to the nearest fish cleaning station. 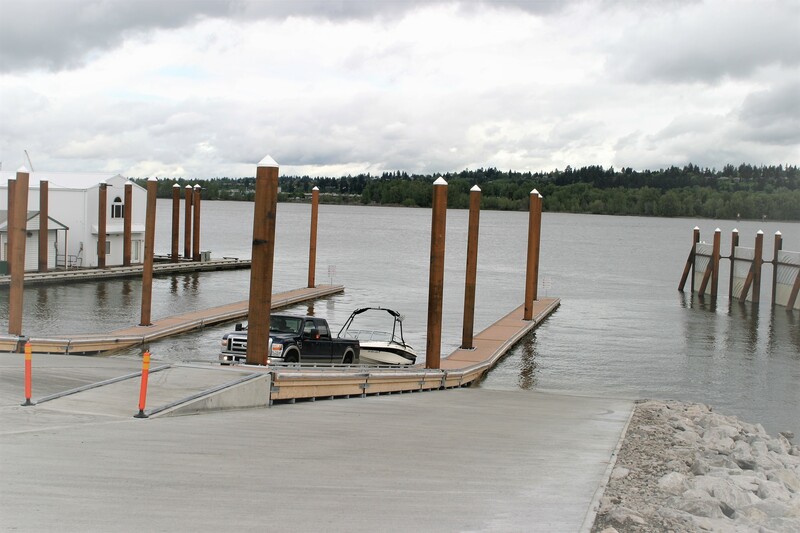 The facility is attractive to boat anglers because it offers a two-lane boat ramp with lots of boarding docks and 36 vehicles with boat trailer and 11 single car parking spots; all factors that reduce launch delays and long lines. 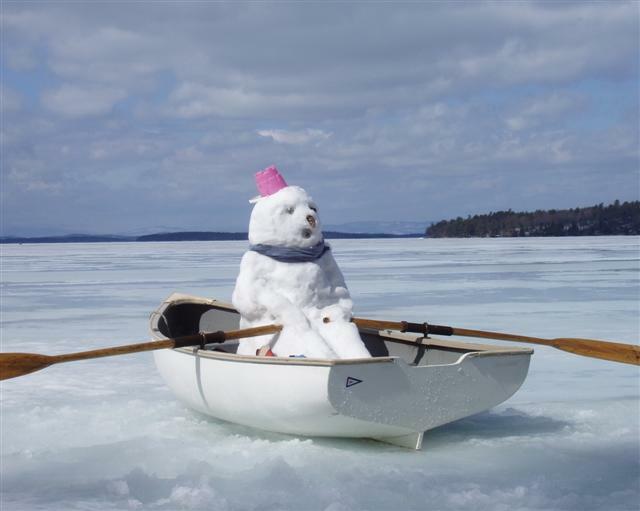 Winterize your boat before costly damage occurs. The forecast for this winter appears to be mild, but it only takes one good freeze to do expensive damage to a boat’s engine. The Marine Board offers the following steps to the do-it-yourselfers who boat seasonally to help prevent costly repairs, later. 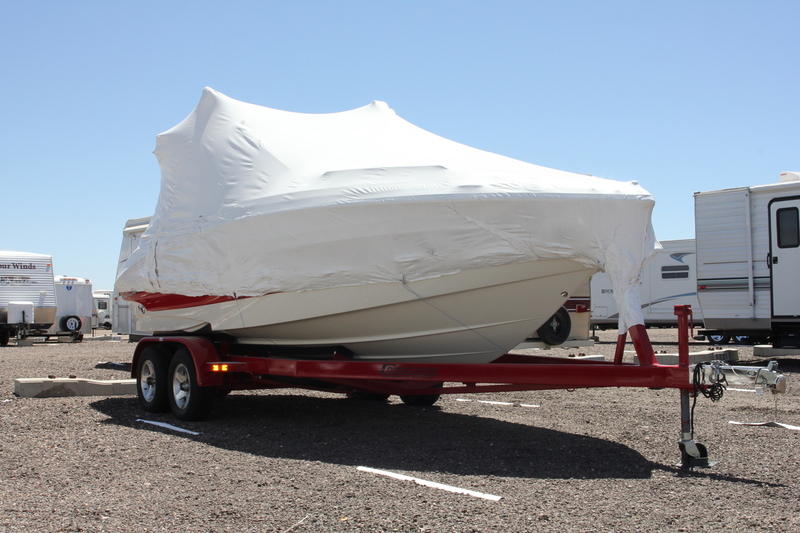 For those less mechanically inclined, many marine stores will winterize your boat with a varying cost depending on the type and class of boat. If possible, store your boat ashore for the winter. The bulkhead, keel, and motor are the critical areas needing support. 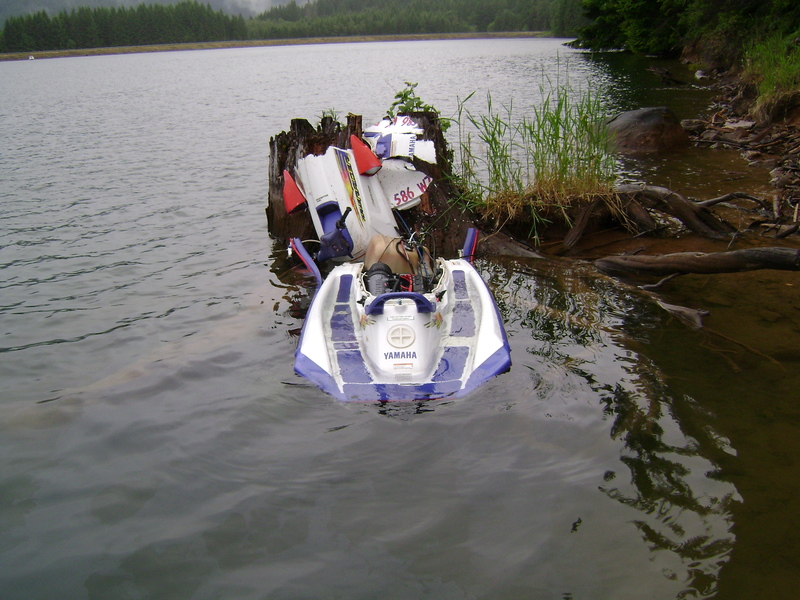 Cradles work best, but don’t store your boat on a cradle that wasn’t designed for the boat you have. If you store your boat in the water, make sure to close all through-hull fittings, gate valves, and seacocks to keep the water out. As water freezes, it expands and can break these important features. Also, plug any exhaust ports. Do not, however, close cockpit drains. Check on your boat occasionally to make sure lines are secure and the bilge remains dry. Make sure to cover your boat. Use a frame under the cover to prevent water from pooling or tearing the cover. Canvas is best because it breathes. If you use plastic, make sure you leave vents in it to allow any moisture to escape. Allow for drainage if you’re storing outside. Add non-toxic antifreeze to water tanks, toilets, and septic holding tanks. Never use engine antifreeze in a freshwater system. Make sure to remove any electronic equipment, important documents or other valuables. Marinas are more like ghost yards in the winter, and tempting to thieves. Drain the cooling system and add anti-freeze. On outboards, this means filling a large bucket or drum with enough antifreeze fluid to reach the water intake, then running the motor until it is warm. Use non-toxic antifreeze only. Disconnect the battery and store in a warm, dry place. If you have to leave it on board to operate an alarm or bilge pump, fill battery cells with distilled water and fully charge it so it doesn’t freeze. Apply petroleum jelly to clean terminals to prevent corrosion. Oil: Drain and replace the engine, transmission and outdrive oil. Replace gear oil in outdrives. Use internal oil fogger when the engine is warm to prevent corrosion. Top off fuel tanks, leaving a little room for expansion. Add a fuel stabilizer. To keep water from collecting in outdrives; leave them in the down position. Winterized boat kept at Key Storage in Portland, OR. The Marine Board is funded by registration, title fees and marine fuel taxes paid by motorized boaters. No lottery, general fund tax dollars or local facility parking fees are used to support the agency or its programs. Boater-paid fees go back to boaters in the form of boating safety services (on-the-water enforcement, training, and equipment), education/outreach materials and boating access facility grants (boat ramps, docks, parking, construction, and maintenance). The Aquatic Invasive Species Prevention Permit program is dedicated funding to pay for border inspection stations, decontamination equipment, inspectors, and signage/outreach materials. The Mandatory Education Program is self-supporting and revenue helps pay for education materials and boater education cards. For more information about the Marine Board and its programs, visit www.boatoregon.com. In Series 1, Introduction, we went through the basic history and what navigation rules are all about. Moving forward in the future, I will be taking the rules one-by-one and explaining their intent and application. Since there are a huge variety of vessels and ships plying the waters of the world, knowing the relevance and context of each rule will help in figuring out how it applies to you. Keep in mind with any federal regulation, or any regulation for that matter, always check the applicability. Checking applicability will save you a lot of work and in some cases, embarrassment when you start quoting rules that may not apply. When you look in the navigation rules book, you’ll find they are separated into international and inland sections. The international and inland rules are very similar and, for the recreational boater, understanding the inland rules first will make recognizing the subtle differences in the international rules much easier. With rare exception, International rules are only in effect in coastal waters and on the high seas and are governed by international committee. Inland rules, on the other hand, are governed by the U.S. Coast Guard. When the rules refer to “inland waters of the United States,” it means inland waters where there is federal jurisdiction. These inland waters are also under state jurisdiction, so there are some joint-jurisdictional responsibilities. With regard to navigation, however, the federal rules take precedence. Therefore, all states have adopted federal navigation rules into state law, in order that the application of the navigation rules remains consistent across all state and federal waters. This means as the vessel operator, you and your crew are responsible to comply with the navigational rules of the road no matter where you are boating. In Rule 3 the Definition of a Vessel is: (a) the word “vessel” includes every description of watercraft, including non-displacement craft, WIG craft, Seaplanes, used or capable of being used as a means of transportation on the water.” As I explained in Series 1, Introduction, the only thing not considered a vessel under the navigation rules are swim or pool toys, inner tubes, air mattresses, inflatable swans, flamingos, etc. This does not mean it’s a rubber stamp interpretation. We will dive deeper in future articles, but certain vessels have priority over others, depending on a specific situation or the operation in which the vessel is engaged. The take away from this is that if you’re paddling, rowing, sailing or motoring on the water, these rules apply. Next, Rule 2, Responsibility: “(a) Nothing in these Rules shall exonerate any vessel, or the owner, master, or crew thereof, from the consequences of any neglect to comply with these Rules or of the neglect of any precaution which may be required by the ordinary practice of seamen, or by the special circumstances of the case. Paragraph (a) is quite ominous, but the real point here is that everyone on board is responsible for the safe navigation of the vessel and to attempt to use a strict adherence to the rules is not an excuse not to act to avoid a collision. What most people don’t know or understand is that you are also responsible to take necessary precautions to avoid a collision -even if the other vessel fails to comply with these rules. That’s why it is so important to recognize when the risk of collision exists and take early and positive action to avoid a collision. In Paragraph (b) of this rule, it’s all about the application depending on the circumstances. Not every vessel has the same maneuvering characteristics. Also, the presence or proximity to shallow or shoal water, obstructions or vessel traffic density may pose an additional risk that if the rule was strictly adhered to, would put you or the other vessel in jeopardy. All available information must be factored into your decision regarding your course of action to avoid a collision. As an example, you may not be able to change course to starboard because it will take you into dangerously shallow water. What other options do you have in that case? Maybe slowing your speed is sufficient to alleviate the risk. It’s about looking for alternatives, especially if your intended action does not resolve the situation or inadvertently increases the risk. No matter, always have a way out. So I know the question pops up, how exactly do non-motorized vessels fit into the application of the navigation rules? Vessels under sail are addressed in the rules but what about paddlecraft? As explained earlier, paddlecraft meet the definition of a vessel but nowhere in the rules are paddlecraft specifically identified other than in Rule 25 for Navigation Lighting. When the rules are not specific or there is uncertainty, Rule 2 applies. This rule emphasizes that the ordinary practice of good seamanship requires precaution under all conditions and circumstances and not strict adherence to the rules. When determining the conduct of vessel in sight of one another the rules are set up so the burden is on the more maneuverable vessel to give way to the less maneuverable vessel. This is derived from the basic intent of Rule 18, Responsibility between Vessels. So it is reasonable that the more maneuverable vessel gives way to the less maneuverable vessel but, ultimately each vessel has the responsibility to avoid a collision regardless of its status. Translated: When the risk of collision exists the power-driven vessel should take early action to avoid the paddle craft but this does not exonerate the paddle craft from ignoring their responsibility under the rules to avoid a collision. Just because paddle craft may have some privilege, this does not mean that strict adherence to the rules negates their responsibility. 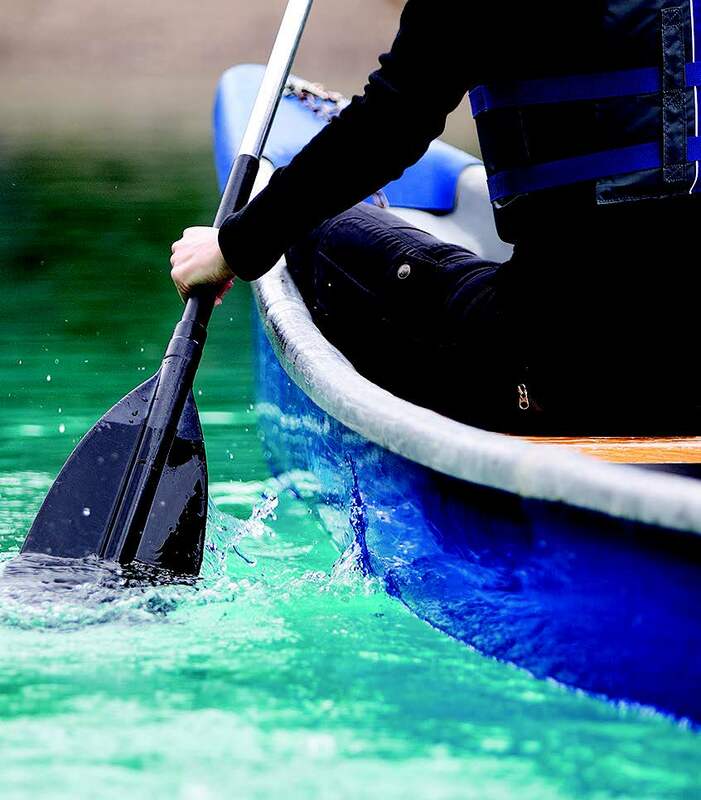 Paddlecraft cannot impede other vessels attempting to safely navigate in congested or restricted waters so it is important that paddlers understand these rules. I will better define that relationship in the future when discussing specific rules that apply. The word vessel includes every description of watercraft, including non-displacement craft, WIG craft, and seaplanes, used or capable of being used as a means of transportation on water. The term power-driven vessel means any vessel propelled by machinery. The term sailing vessel means any vessel under sail provided that propelling machinery, if fitted, is not being used. The term vessel engaged in fishing means any vessel fishing with nets, lines, trawls, or other fishing apparatus which restricts maneuverability but does not include a vessel fishing with trolling lines or other fishing apparatus which do not restrict maneuverability. The word seaplane includes any aircraft designed to maneuver on the water. The term vessel not under command means a vessel which, through some exceptional circumstance, is unable to maneuver as required by these Rules and is, therefore, unable to keep out of the way of another vessel. (vi) a vessel engaged in a towing operation such as severely restricts the towing vessel and her tow in their ability to deviate from their course. The word underway means that a vessel is not at anchor, or made fast to the shore, or aground. The words length and breadth of a vessel mean her length overall and greatest breadth. Vessels shall be deemed to be in sight of one another only when one can be observed visually from the other. 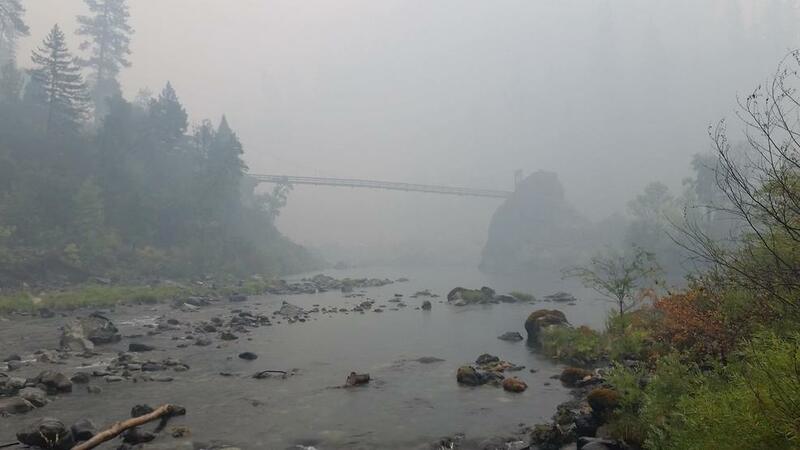 The term restricted visibility means any condition in which visibility is restricted by fog, mist, falling snow, heavy rainstorms, sandstorms, or any other similar causes. The term Wing-In-Ground (WIG) craft means a multimodal craft which, in its main operational mode, flies in close proximity to the surface by utilizing surface-effect action. One of the most misinterpreted definitions is that of a vessel engaged in fishing. Sometimes people feel that because they are trolling that the definition of fishing vessel applies to them and they have some prominence of the right of away over other vessels. This simply, by definition, is not the case. In the same vein, some might think that when they are drifting, or pulling a skier or engaged in some other activity that they not under command or restricted in their ability to maneuver. This also is not correct. Other than a sailing vessel under sail and in some cases a non–motorized vessel, a recreational vessel will never be classified as anything other than a power-driven vessel. So if you’re trolling or fishing with hook and line, skiing, wakeboarding, or tubing you are a power-driven vessel under the rules. Hopefully, you can see exactly where a recreational vessel fits into the rules and see how misinterpreting or misunderstanding these rules can create confusion or easily create a high-risk situation. As we move onto the 3rd article, we will explore the steering and sailing rules where the pieces should fall together and you will begin to understand that when it comes to the recreational vessel the rules are simple to understand -and apply. Knowing when the risk of collision exists and what actions need to be taken to avoid a collision is the bedrock for all the navigation rules that follow which we will explore in more detail. It takes some skill for anyone to survive a fall into cold water and knowing more about these techniques could help save your life. Wearing a life jacket drastically increases your chances of survival in cold water. It’s extremely difficult to put one on after you fall overboard, but virtually impossible in cold water. Plus, in the second “swim failure” stage of cold-water immersion when you lose your ability to use your extremities (e.g. hands, arms, legs) you may not even be able to hold onto one. Surviving the first “cold shock” stage of cold-water immersion, with the help of wearing a life jacket, involves getting control of your breathing. Anyone who has survived this experience of suddenly encountering cold water knows that feeling of the involuntary torso reflex and those first gasps of breath. To survive the first few minutes, you must stay calm and stop hyperventilating, but this can be challenging, even for strong swimmers. There is a technique that may help prevent hyperventilation and it involves breathing out through pursed lips. It’s critical to remain calm and not panic during this first stage of cold-water immersion. I’ve heard some people say they don’t wear a life jacket because they can swim and they always stay close to the shore when they are boating. If you survive long enough to enter cold-water immersion’s second stage, which is referred to as swim failure or cold-water incapacitation, your ability to swim is not going to help you much. Cold-water experts estimate that you will have less than 10 minutes when you can still move your hands, arms, and legs. However, any movement in cold water is going to deplete your body of heat 25–30 times faster than cold air. The Lifesaving Society research reports that 43% of people who drowned in cold water were 2 meters (6.6 feet) from safety (e.g. shore, boat, dock) and 66% were approximately 15 meters (49.2 feet) from safety. Dr. Gordon Giesbriecht (a.k.a. Professor Popsicle) coined a phrase to help people understand the first three stages of cold-water immersion and the approximate time each stage takes. It’s called the 1–10–1 rule. It refers to you having one minute to control your breathing, less than 10 minutes for self-rescue, and 1 hour before you become unconscious due to hypothermia. Hypothermia is when your body loses heat faster than it can produce it. During this third stage of cold-water immersion, it’s best to keep as much of your body out of the water as possible. For example, if there is a capsized boat, floating cooler, or anything you can climb up on it will increase your chances of survival. If that’s not possible, there is a position, aided by wearing a life jacket, called H.E.L.P. or Heat Escape Lessening Posture that can reduce the rate of losing body heat. This position involves drawing your knees up towards your face, grasping your arms around your lower legs, and holding yourself into a floating ball. If you’re with anyone else and everyone is wearing a life jacket, there is another position called Huddle. It involves staying upright in the water and circling your arms around the shoulders of others and holding on as close together as you can. The specific amount of time you can survive these three stages of cold-water immersion depends on the water temperature, clothing, body type, and your behavior. This may be the one time in your life where body fat could actually help you. Wearing clothing is another key factor in surviving and cotton is not the best, but it still helps insulate your body. The best thing to wear is layers of clothes, made of wool or other water-resistant materials. Clothing can help trap air and increase your ability to float for longer periods of time. Even shoes or boots can help insulate your feet from losing heat. There’s a misconception that people can drown from the weight of their wet clothes in the water, but wet clothes or shoes are only heavy out of the water. It’s a simple physics concept, but unfortunately, many people have to experience it themselves before they will believe this. You could do all the right things described above and still become unconscious from hypothermia. However, hypothermia can happen with or without drowning. If you survived long enough to be rescued, then you are in danger of the fourth stage of cold-water immersion, called post-rescue collapse. These people need immediate medical attention to be properly re-warmed because they are subject to cardiac arrest. They must be handled gently. If possible gently remove their wet clothes and cover them with dry blankets until medical help arrives. The bottom line is wearing a life jacket can help you survive cold-water immersion. Hopefully, you never have to use any of these techniques, but remember the 1–10–1 rule may help increase your chances of survival. To Learn More, visit www.pleasewearit.com. 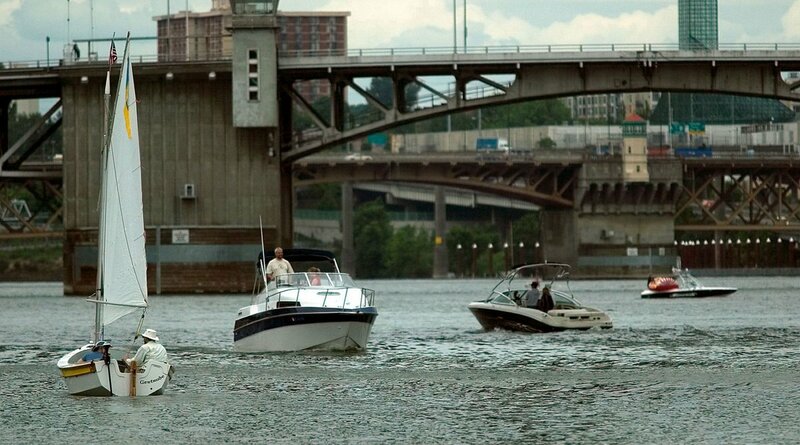 View the Marine Board’s recreational boating statistics in Oregon. 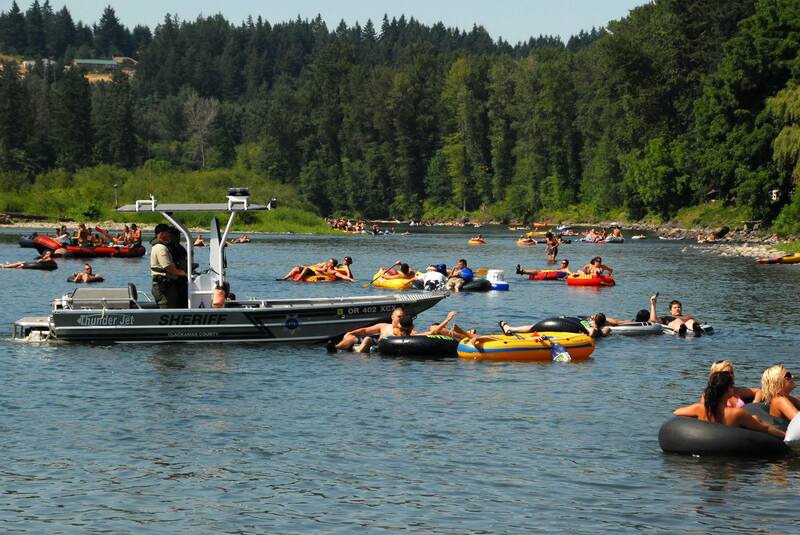 In Oregon, 85% of recreational boating fatalities involve people who drowned and were not wearing a life jacket. 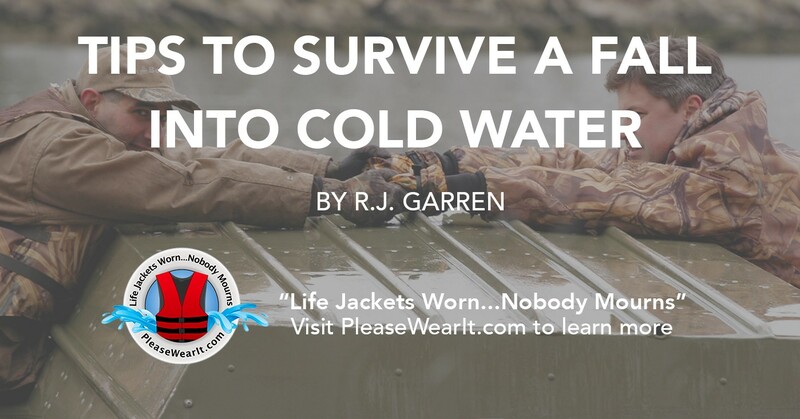 Follow the Life Jackets Worn…Nobody Mourns campaign at Please Wear It on Facebook, Twitter, and Instagram and read all the campaign blogs at https://medium.com/@pleasewearitarmycorps. From the Outdoor Recreation Roundtable. To read the full Travel Weekly article, click here. Repairing the nation’s crumbling infrastructure is essential to keeping travel and tourism booming. That’s the message in a featured article in Travel Weekly, a leading travel industry publication. But infrastructure doesn’t just mean roads, bridges, and airports. It also means making improvements that enhance visitor experiences on America’s public lands and waters, particularly national parks, according to Derrick Crandall, President of the Outdoor Recreation Roundtable and Counselor to the National Park Hospitality Association. WiFi availability, interactive apps, and web-based fee payments are just some examples of ways to modernize and improve national park experiences, he said, with public-private partnerships playing a key role. Infrastructure improvements on public lands and waters are just some of the issues being addressed by Interior Secretary Ryan Zinke’s new “Made in America” Outdoor Recreation Advisory Committee, which has been asked to provide the Department of the Interior with solutions that will give Americans more access to their public lands and waters and improve visitor experiences. For more information on the “Made in America” Outdoor Recreation Advisory Committee, click here. 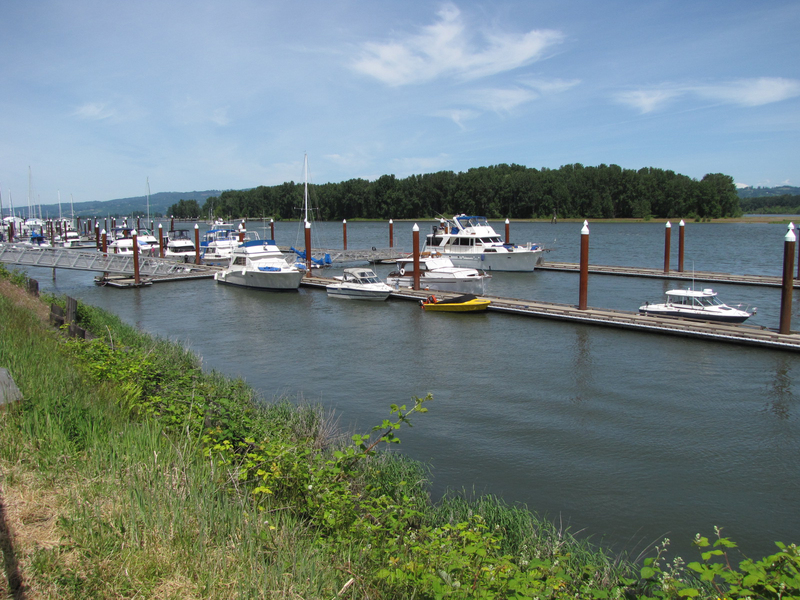 Infrastructure conversations in Oregon are happening, including the recreational boating arena in which the Marine Board is a key player. The Marine Board contributes nearly $10 million per biennium in state boater funds (motorboat registration and title fees) and leverages federal grant dollars to help fund boating facility infrastructure projects around the state. Learn more about the Marine Board’s Boating Facilities Program. St. Helens City Docks on the Columbia River in St. Helens, Oregon. 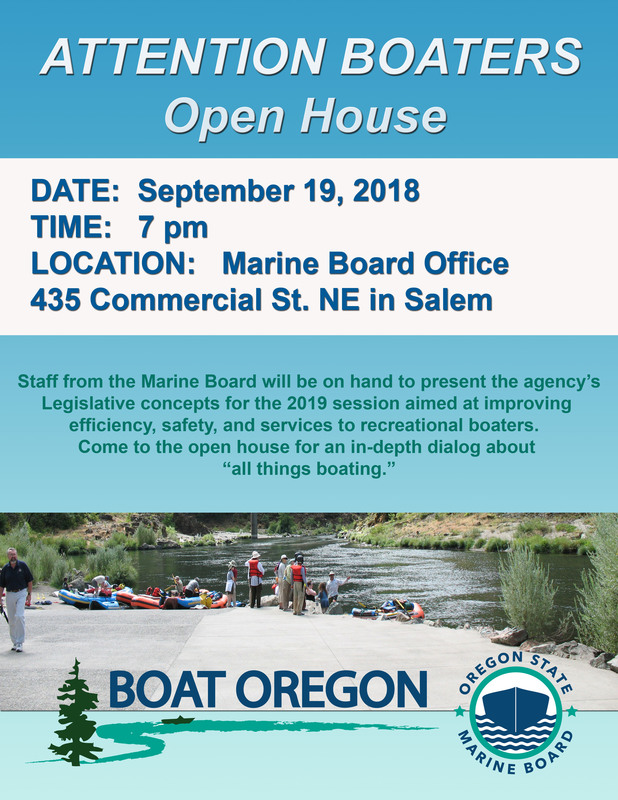 The Marine Board will be hosting an open house to discuss the agency’s legislative concepts on September 19, at 7 pm, at the Marine Board office, 435 Commercial Street NE, in Salem. Recreational boaters are encouraged to attend and ask questions. Agency staff will be on-hand to provide background and answers. The Oregon State Marine Board has an ambitious plate of legislative concepts for 2019. 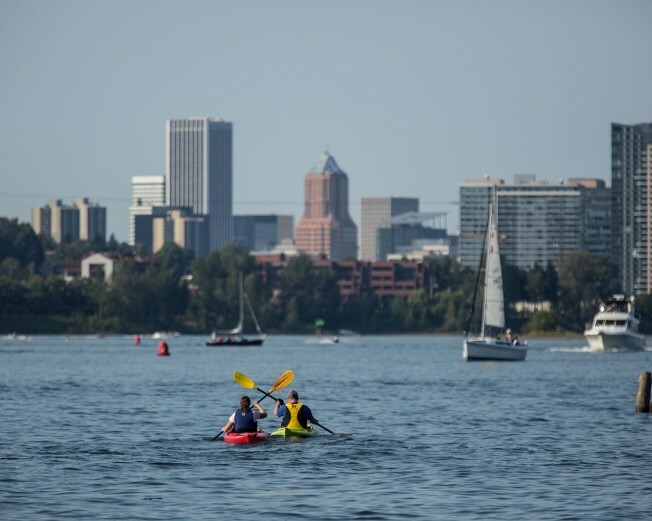 The concepts aim to improve efficiency and safety while adapting to changing boat use and increasing costs to serve Oregon boaters. For legislative concept details, visit https://www.oregon.gov/osmb/info/Pages/Legislative-Concepts.aspx. When the air temperatures start dropping in the fall, many live-aboard boaters and cruising boats (including sailboats with cabins) turn up the heat and spend more time inside. 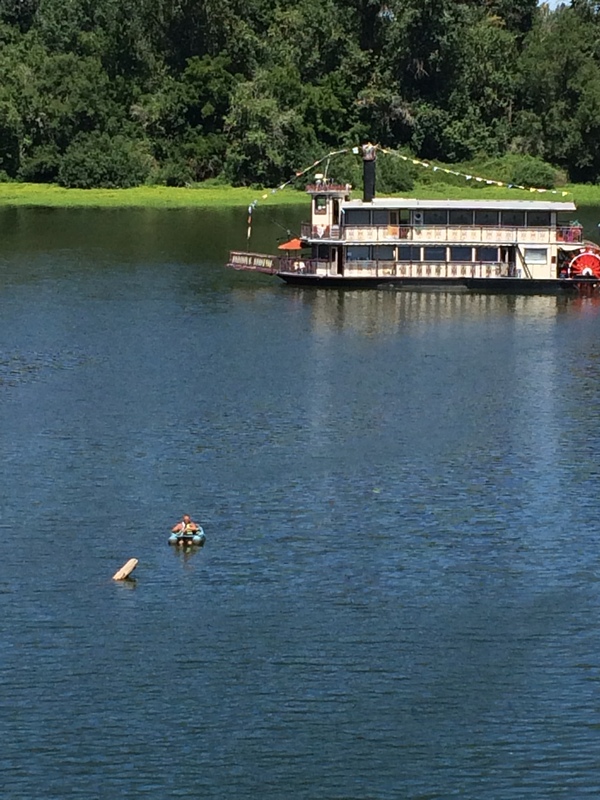 But many of these boats are not equipped with smoke alarms. Early detection has proven to save lives in homes and RV’s, so why are smoke alarms rarely found in boat cabin spaces? They’re currently not required. 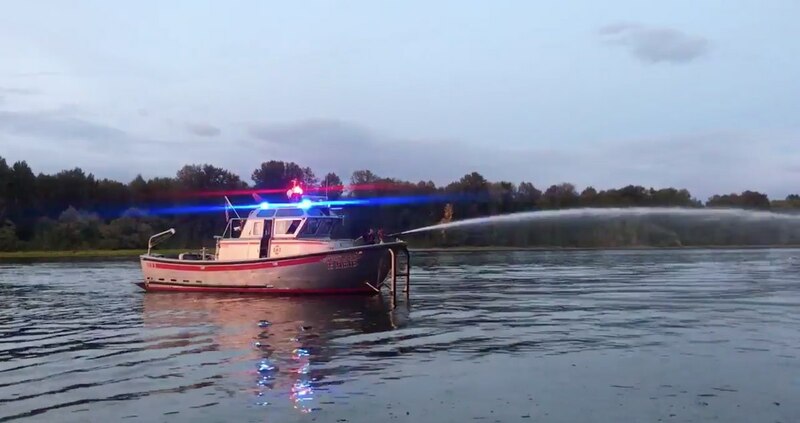 However, the Oregon State Marine Board encourages owners to consider purchasing and installing a reliable smoke alarm because there’s a risk of fire on boats and fires can happen. While not required for recreational boats, the Coast Guard Code of Federal Regulations, Chapter 46 guidelines requires that smoke alarms be installed in the sleeping compartments of small inspected passenger vessels. An RV rated smoke alarm (label reads UL 217 RV) is approved for use on cruising boats. Unlike the smoke alarms used in homes, the RV-rated alarms must withstand higher temperature variations, vibrations, humidity, and mild saltwater exposure. The RV-rated smoke alarm is similarly recommended for use on recreational boats by the National Fire Protection Association. However, due to the extreme environments in some areas, experts recommend regular inspections and a replacement cycle roughly every five years. Live-aboard boats and cruising boats have a variety of potential fire dangers, more than a typical home. Pleasure boats have a high fire load in the form of combustible fuel storage that supplies multiple onboard devices, and AC and DC electrical systems (which are subject to regular moisture that causes corrosion, as well as vibration and jarring as part of the normal use). A boat’s construction materials are extremely combustible, as are interior furnishings. According to BoatU.S., 55% of boat fires are electrical in nature and will start in a smoldering state. Propulsion, fuel, engine and exhaust problems, as well as unattended cooking, careless smoking, heating devices, and other appliances, are also among the causes. In all of these cases, early detection of smoke can be the key to preventing a fire or stopping it in the early stages. Many people have smoke alarms in their homes and RV’s, so why not a boat? This simple device can save lives, protect neighboring boats, docks or structures if the boat is kept at a moorage. A smoke alarm is the cheapest insurance you can buy for your on-the-water home or pleasure craft. Night time navigation requires good sea legs, adaptive night vision, and skills with navigation equipment/charting techniques. These skills take time to develop, taking into account changing water and weather conditions, traffic, and local etiquette. New technology has helped improve safety in many areas and created new concerns in others. Take for example LED lights. LED lights have become increasingly popular in the last decade, and decreasing cost added with the “coolness factor” are adding to their appeal. But if you’ve ever been “blinded by the light” it quickly becomes less about being cool and everything about your own operational safety. For example, many boaters head out before dawn to find a prime fishing spot. Not unlike driving on the road, it’s easy to be blinded by other boats who are using LED lights, with the added complexity of reflection off the water. LED Lights on a boat near Yaquina Bay near daybreak. In this picture, the boat is about 200 yards behind the transiting boat with forward-facing LEDs. The first crest of daylight had already begun, so imagine complete darkness. 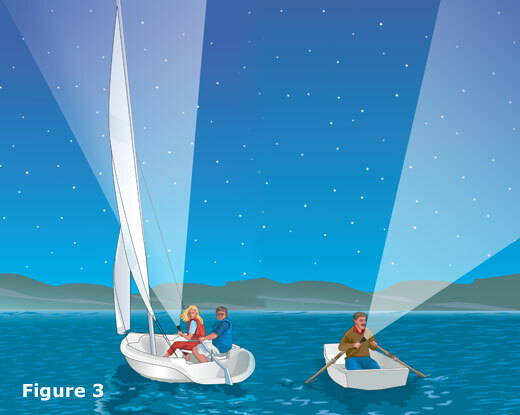 This intense lighting can temporarily blind other boaters for several minutes. For boats where the LEDs are on their back deck facing straight backward, also makes it dangerous for boaters who may be following behind. Another argument the Marine Board hears about pertains to violating the law because there’s no way that another boater can see their normal navigation lights with the LEDs activated. On one hand, this is can easily be observed. The LED lights overpower the red and green bow lights. On the other hand, there may be more danger created by operating around these boats that cause other operators temporary blindness. This concern also carries over to the boat ramp when boats have the LEDs on while backing down the ramp in the dark, and blinding everyone else trying to launch. This scenario has actually played out, leading to physical altercations! From the U.S. Coast Guard perspective, most LEDs don’t comply with lighting requirements and the directionality of the lights themselves cause concern. Believe it or not, LED navigation lights, like life jackets, must be U.S. Coast Guard -approved. 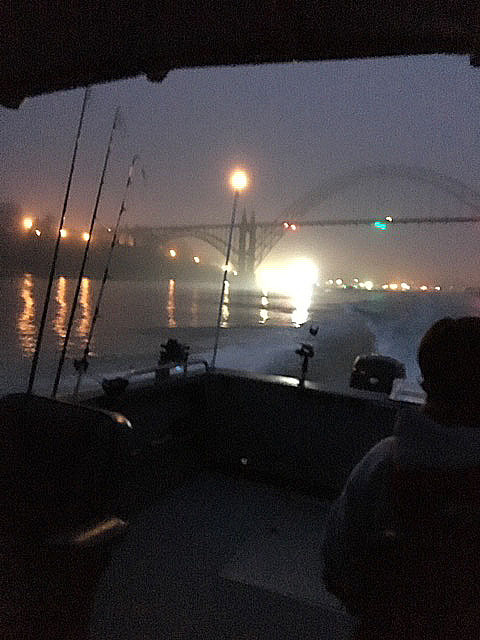 Oregon Revised Statute (ORS) 830.225 Lights; rules state: On all waters of the state, every boat shall carry and exhibit the lights required by rules promulgated by the State Marine Board. 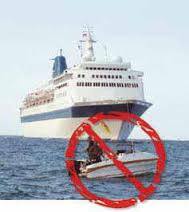 Such rules shall be designed to prevent collisions and generally promote boating safety. In promulgating such rules the board may consider lighting requirements and standards adopted by the United States Coast Guard and by federal Statutes [Formerly 488.041]. Oregon is not the only state that has brought safety concerns to the Coast Guard about LED lights over the last few years. If you’ve invested in LED lights for your boat, be aware of the impact the lights have on others and your communication equipment. The red and green directional bow lights and all-round white light provide the necessary intensity for the navigation rules of the road and allow boat operators to optimize their adaptive night vision. The Marine Board encourages boaters to weigh anchor before activating their LEDs and to consider how the lights may be confusing to other boaters paying heed to the navigation rules. The other factor is the real impact of temporarily blinding others. We encourage LED-fitted boaters to be courteous to others and refrain from activating LEDs during launching, retrieving or transit. Make sure your LEDs are U.S. Coast Guard -approved. Test your LED lighting and your VHF-FM radio or AIS communication devices and make any modifications to improve the signaling. The Marine Board is funded by registration, title fees and marine fuel taxes paid by motorized boaters. No lottery, general fund tax dollars or local facility parking fees are used to support the agency or its programs. Boater-paid fees go back to boaters in the form of boating safety services (on-the-water enforcement, training, and equipment), education/outreach materials, and boating access facility grants (boat ramps, docks, parking, construction and maintenance). The Aquatic Invasive Species Prevention Permit program is dedicated funding to pay for border inspection stations, decontamination equipment, inspectors, and signage/outreach materials. The Mandatory Education Program is self-supporting, and revenue helps pay for education materials and boater education cards. For more information about the Marine Board and its programs, visit www.boatoregon.com. Enter your email address to follow the Boat Oregon blog and receive notifications of new posts by email! Be engaged...be heard.